How do the LIGO and VIRGO detectors detect gravitational waves, while accounting for local sources of interference? 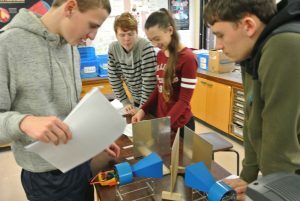 The activities in this workshop introduce students to the technology used in the LIGO and VIRGO observatories to detect gravitational waves and limit seismic interference in the detected signals. The activities also introduce students to the data analysis techniques used to localise where gravitational wave events have taken place, their distance from earth and the sizes of the astronomical bodies involved in the events. 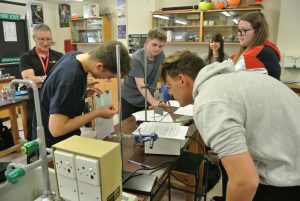 This activity has been developed in partnership with the National Space Academy and funded by the Science and Technology Facilities Council. To book a Masterclass (subsidies may exist) through the National Space Academy please use their contact form. For a workshop directly through Cardiff University, please email us at schools@astro.cf.ac.uk or use our Contact Form.